SET OF 4 LOG ROLL STAKES. STAKES ARE MADE OF 19 X 38 MM APPROX FSC PRESSURE TREATED TIMBER FOR LONGEVITY. EACH STAKE IS PRE-DRILLED TWICE TO AVOID WOOD SPLIT WHEN SECURING WITH SCREWS SUPPLIED. SUITABLE FOR USE AS EDGING SUPPORTS. SET OF 4 LOG ROLL STAKES. STAKES ARE MADE OF 19 X 38 MM APPROX FSC PRESSURE TREATED TIMBER FOR LONGEVITY. SUITABLE FOR USE AS EDGING SUPPORTS. EACH STAKE IS PRE-DRILLED TWICE TO AVOID WOOD SPLIT WHEN SECURING WITH SCREWS SUPPLIED. Designed for high tensile use. Perfect for Equi- Rope and temporary fencing. Complete with two galvanized nails. Molded of high density polyethylene with carbon black for superior UV resistance. Performs in any climate. Easy to install, just push the fencing straight into the ground. Simply clip the pieces together to make a straight or curved border around flowers and pathways. CONCRETE PILLAR GARDEN MOULD. 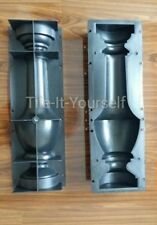 Highly durable mould. To fill with concrete - tie both together. Drill a hole in the top and pour concrete in. Join together to create one pedestal pillar. 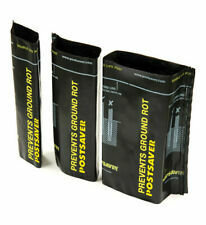 X1 PACK OF TEN POSTSAVER SLEEVES SKU 7 150MM ROUND (6") 125MM X 125MM SQUARE 5"
(125mm x 125mm Square, 150mm Round. ). Zaunsäule verzinkt zum Einbetonieren, Höhe 1200mm; Zäune Tore Pfosten Säule Zaun. Rundpfosten 1200mm lang, Ø 42,5mm, feuerverzinkt, zum Einbetonieren | Zaun. Balkonsäule in Stahl feuerverzinkt, zum Aufschrauben, L 900mm; Zaunsäulen, Zaun. 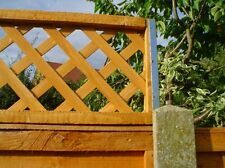 6 PAIRS Trellis Fence Height Extension Arms. 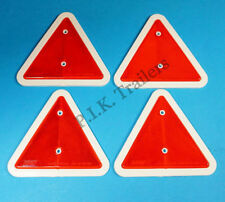 shorter 500mm version available for adding 1 to 2 Feet High trellis Panels. Trellis shown NOT SUPPLIED. 1 PAIR needed per 6 foot Run of Fencing (one in left and one in right slot). Often referred to as 'Hempex' or 'Hardy Hemp'. Ideal for garden projects, decking, handrails, garden swings and also used on board traditional sailing vessels. Three strand synthetic hemp rope which looks and feels similar to traditional hemp rope. Moulds for paving slabs available sunburst circle cobble stone pattern. fibreglass moulds. Large quantity for sale -available in large or smaller quantities. All used but in full working order ready for use. Zaunpfosten glatt Kanten gerundet 7x7x100 sibirischen Lärche Holzpfosten Zaun. Zaunlatten aus sibirischen Lärchenholz. Sibirische Lärche gekennzeichnet sich durch eine sehr große Witterungsbeständigkeit. Unser Zaun bleibt ohne zu streichen sogar bis 30 Jahren stehen. 100x7x7 1 Stück geschliffen ( super glatt). Naturbelassene, massive Bambusrohre! Extrem stabil und witterungsbeständig! Bambusrohr/Bambuspfosten zur ANJI-Serie. Aufgrund der topografischen Gegebenheiten vor Ort können Bambuspfosten bei der Ernte nicht wirklich pfleglich behandelt werden. This is a quick and easy way to erect a temporary or electric fence. • Colour: Green (shade may vary). 2 large rustic real wood stepping stones - cut from English Larch timber supplied from sustainable woodlands and managed forests. Moulds for coping stones 4 in one moulds. All used but in full working order ready for use. Moulds for coping stones. All used but in full working order ready for use. 2 x Straight Pattern Folded Eye Band ONLY - with Round Holes. To suit 19mm Pins. Self Coloured. 13-11-2018 08:14:04. Moulds for paving slabs available circle cobble stone pattern. fibreglass moulds. Large quantity for sale -available in large or smaller quantities. All used but in full working order ready for use. 75 x 250mm Heavy Duty Backflap Hinges to Weld with Welded. 75mm along a 11mm Dia Brass Pin. This Double Pressed Hinge is made from 4.5mm Gauge Material, making each leaf 9.0mm Thick, Spot Welded Together. Suitable for car ports, pergolas and general fencing. Concrete in. Use in hard standing areas in a min 450mm cube of concrete. Thread Size - Imperial: -. Moulds for paving slabs available plain pattern 600mm square. Large quantity for sale -available in large or smaller quantities. All used but in full working order ready for use. This is a quick and easy way to erect a temporary or electric fence. • Handy footplate for easy installation.